Kroeger served two years on Tesla's board. FRANKFURT -- Daimler's top electric motors development executive, Harald Kroeger, is joining Robert Bosch, two people familiar with the matter told Reuters, as a battle to hire leading talents in the sector heats up. German automakers are investing heavily in electric cars, a segment once neglected by the industry as customers shunned their limited operating range and high cost. A growing political backlash against diesel pollution, the pending introduction of more stringent European Union emissions requirements and recent advances in battery technology to increase the reach of EVs, have all spurred major investments by Volkswagen, Daimler and suppliers such as Bosch and Continental. A Daimler spokeswoman confirmed to Automotive News Europe that Kroeger was leaving the company, but declined to comment further. Bosch declined to comment on the report. The possible departure of Daimler's head of development for electrics, electronics, and e-drive, comes as Daimler's luxury brand Mercedes-Benz prepares to launch a range of electric models. 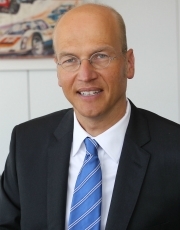 German-born Kroeger has held various senior roles, including the position of head of quality at Mercedes. He also served two years on the board of directors at electric car company Tesla Motors. The executive helped oversee development of motors for Mercedes pure battery powered cars as well as plug-in hybrids. He was also responsible for development of all electronics for Mercedes cars and for battery development, including stationary battery storage systems and the building of a factory to manufacture battery packs for EVs. The development of Mercedes electric passenger cars remains in the hands of Juergen Schenk, the engineer who has overseen development of vehicles including the electric Mercedes B class. Kroeger is Schenk's boss. Daimler remains on track to unveil a new Mercedes electric car at the Paris auto show next month, a company spokesman said. In July, the German carmaker said it had accelerated development of premium electric cars, a segment currently dominated by U.S.-based rival Tesla. Bosch has in recent years built up its expertise in electric and autonomous car technology, helping a wider group of companies to gain a foothold in the auto industry. The supplier built the electric powertrain and steering for Google's prototype autonomous vehicle and is a supplier of driver assistance systems to Tesla. Bosch expects sales of driver assistance systems, which include radar and video sensors used for emergency braking and sophisticated cruise control functions, to reach 1 billion euros ($1.13 billion) by 2016. In 2025, Bosch expects 125 million cars to be produced, of which 8 million will be electric cars, 8.3 million plug-in hybrids and more than 5 million hybrid vehicles.